1. In a small jar combine, olive oil, balsamic vinegar, lemon zest and stone-ground mustard. 3. 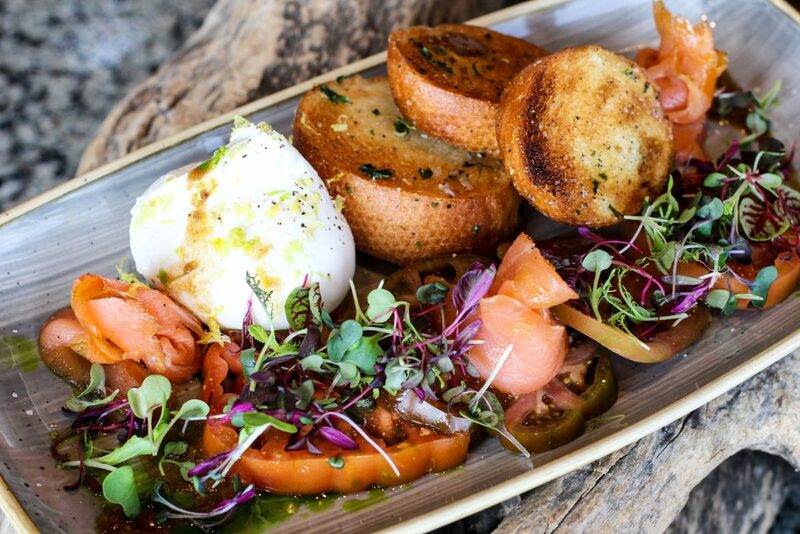 On a small serving platter arrange lox, tomato slices, burrata and toasted baguette. 4. Drizzle Zesty Vinaigrette over tomatoes and garnish with micro basil.